Two major milestones for the TCR team! 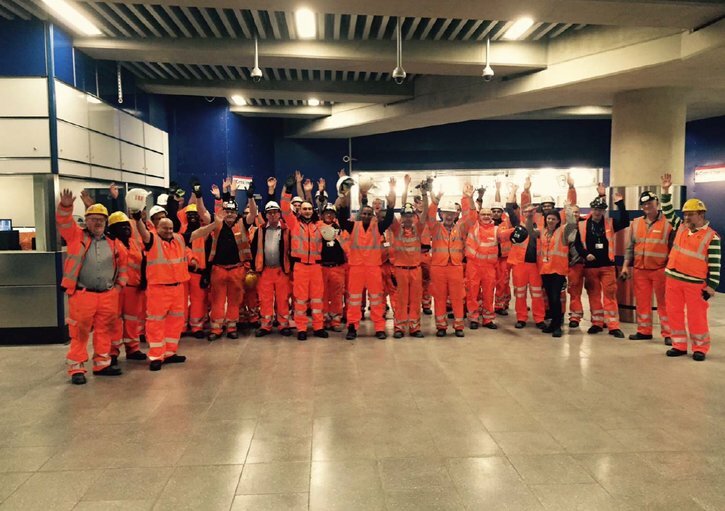 Congratulations to the Taylor Woodrow BAM Nuttall team at Tottenham Court Road for successfully achieving two major milestones for the project. The team completed the new South Plaza entrance ready for opening on 2 December, and Central line trains are now stopping at the station again following the transformation of the platforms and tunnels. The South Plaza provides an entrance to the tube from Charing Cross Road via an impressive 15m tall glass structure, which will be mirrored by a twin glass entrance from Oxford Street when the station upgrade is complete. The Central line had been suspended at Tottenham Court Road for almost a year whilst a lift shaft, new stairs, new connections and breakthroughs were made to tie in the upgrade to the existing station.